MARIPAZ REALTY and MANAGEMENT SERVICES is a realty estate brokerage house company company in the Philippines and corporation which offers vast knowledge and expertise on selling subdivision projects, condominiums, rawlands, industrial, memorial, commercial lots, project documentation and consultancy, and financing both on projects and acquisition of properties. RAPHAEL - RFO House and Lot for sale at Portofino Alabang. Land For sale in TAGKAWAYAN, QUEZON. 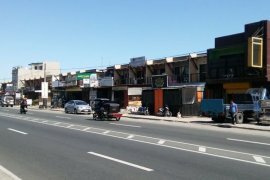 Land for sale in Bella Solana Cabuyao City, Laguna. CONDOMINIUM FOR SALE in TAGAYTAY. House And Lot In Calamba at San Francisco Heights. CATERINA - 4 bedroom house and lot for sale at Verona Silang Cavite. MARIELLA - 2 bedroom & 2 storey House and Lot for sale at Verona Silang Cavite. Townhomes for sale in Gran Avila Calamba, Laguna. GISELLA - 4 bedroom house and lot for sale at Verona Silang Cavite. BRITTANY PROMENADE - GUILLANO Beautiful Luxury homes in Sta. Rosa City, Laguna. Affordable house and lot in Sta.Rosa City, Laguna. AEON house and lot for sale at Sentosa Calamba, Laguna. 2 storey affordable house and lot in Lyn Ville Cabuyao. BRITTANY PROMENADE - Lawrence Luxury homes in Nuvali Sta.Rosa,. Affordable Town house in St. Joseph Windfield Cabuyao. New and affordable house and lot for sale in South Point Subdivision Cabuyao City, Laguna. NIRAN - 4 bedroom & 2 storey house and lot in Sentosa Calamba, Laguna. SHANATA - 4 bedroom & 2 storey house and lot at Sentosa Calamba,Laguna.